Come with me to a land where dreams reside. 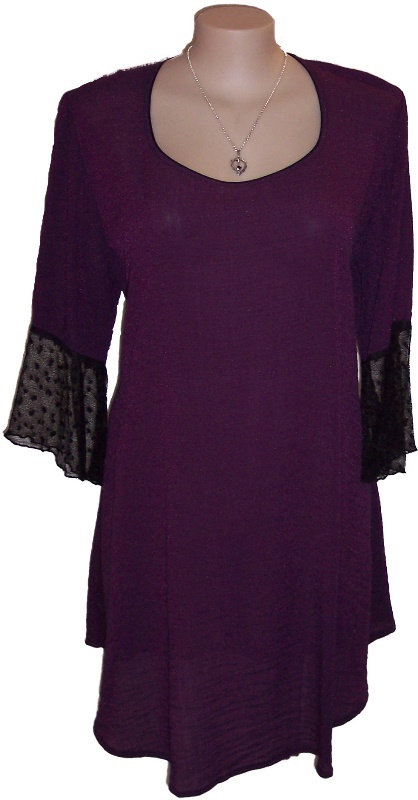 In this pretty lace trimmed tunic you will feel like a princess. The longer length flatters the figure. The curved hem and the black piping at the neck tone in perfectly with the black lace at the 3/4 sleeves. Team with stylish dress pants for an elegant look.